More than 20 kinds of vegetables. My mom bought from vegetable market. You might think, what would my mother do with all the vegetables? 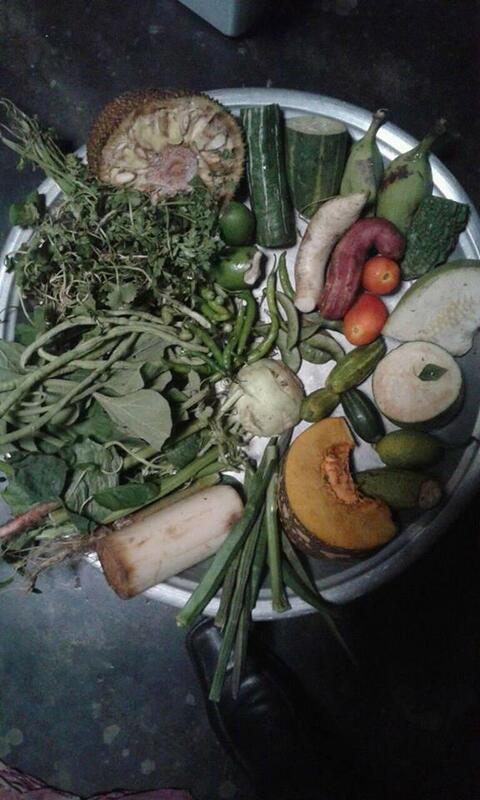 We made a food by this vegetables with various kinds of pulses. It's name is Larba. You got a 9.17% upvote from @redlambo courtesy of @arfaturrahman! Make sure to use tag #redlambo to be considered for the curation post! You got a 3.03% upvote from @dailyupvotes courtesy of @arfaturrahman! Release the Kraken! You got a 1.75% upvote from @seakraken courtesy of @arfaturrahman! You got a 2.07% upvote from @emperorofnaps courtesy of @arfaturrahman! This post has received a 3.28% upvote from thanks to: @arfaturrahman. You got a 3.23% upvote from @nado.bot courtesy of @arfaturrahman! Congratulations, your post received 3.91% up vote form @spydo courtesy of @arfaturrahman! I hope, my gratitude will help you getting more visibility. You got a 25.00% upvote from @bluebot courtesy of @arfaturrahman! @youtake pulls you up ! This vote was sent to you by @arfaturrahman! This post has received a 4.42% upvote from @msp-bidbot thanks to: @arfaturrahman. Delegate SP to this public bot and get paid daily: 50SP, 100SP, 250SP, 500SP, 1000SP, 5000SP Don't delegate so much that you have less than 50SP left on your account. This post has received a 8.45% UpGoat from @shares. Send at least 0.1 SBD to @shares with a post link in the memo field. Nice post ! You got 6.81% upvote from @flymehigh. Earn free sbd/steem daily by delegating(renting) your SP. We share high return, click here to delegate your sp to flymehigh if you don't know, how to earn passive income by delegating your SP click here for more info Join our discord You can promote your posts. Thanks.